The squeeze on Luton Council’s finances continues. For the period 2010/11 to 2016/17, the authority has cut its spending by £99 million. A further £14 million in savings is required over the period 2017 — 2020. This will be a challenge for the Council, in particular as the demand for services such as adult social care and children’s services continue to increase. It costs Luton Borough Council far more to send waste to landfill than recycle it and they say they no longer have the resources to carry on as before. Therefore they need the help of residents to achieve the vision of their new draft waste strategy - 'Waste Less, Recycle More'. LBC hope to change behaviours to reduce the amount of household waste generated and to improve the quality and quantity of recycling from its residents. It is hoped the change will deliver a sustainable waste service over the next ten years. 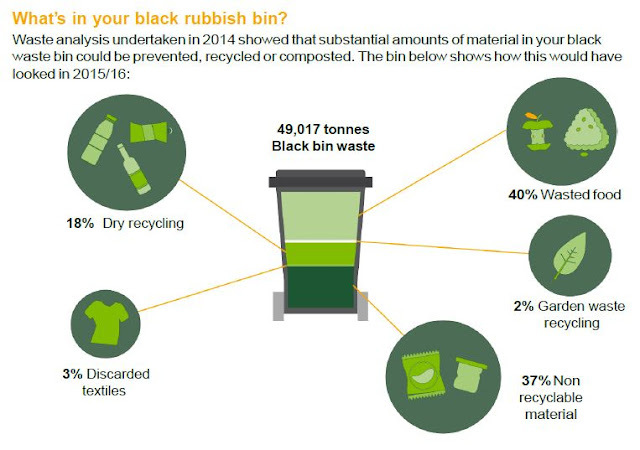 Black bin waste collections one week and recycling the next. Where necessary weekly collections will be maintained. More education and communication activities. Luton Borough Council’s leader, Councillor Hazel Simmons, said, "Changes in service provision over the years have meant that our communities are able to reuse, recycle and compost materials in a more convenient and reliable way than ever before. Recently we provided more than 30,000 bigger recycling bins to replace older smaller bins and help residents recycle more. In 2015/16 we collected 94,265 tonnes of municipal waste, the vast majority being from borough householders. With residents’ help we recycled more than 35% of this waste." "We are committed to doing all we can to increase recycling, reuse and recover value from the waste generated in the town. This draft strategy is provided to stimulate debate and feedback, and may be revised after due consultation. 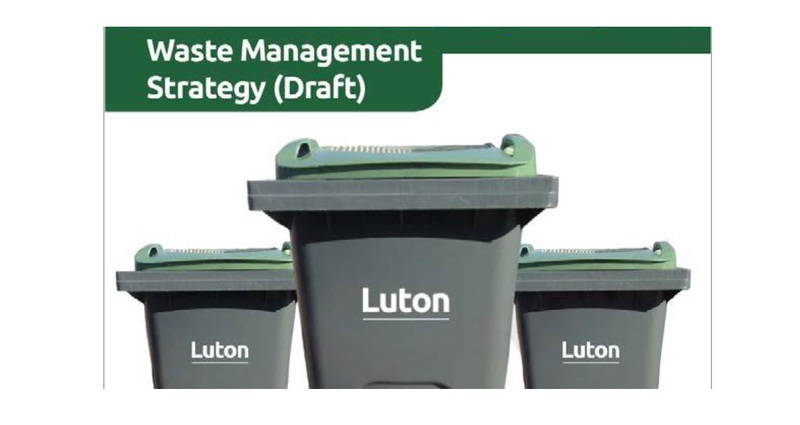 It looks at where Luton is now and explores a range of issues and challenges facing Luton in managing its waste over the next 10 years." If you do not have internet access paper surveys are available at Luton Town Hall. All feedback received by Thursday 19 April 2018 will be carefully considered.